CF-LYL Hawaii Mars in its water-bomber role. It is one of the last two survivors of its type. The Mars over Chesapeake Bay on its maiden flight, July 3, 1942, with nose turret evident. The prototype in camouflage, 1944, with turrets removed and nose faired over. 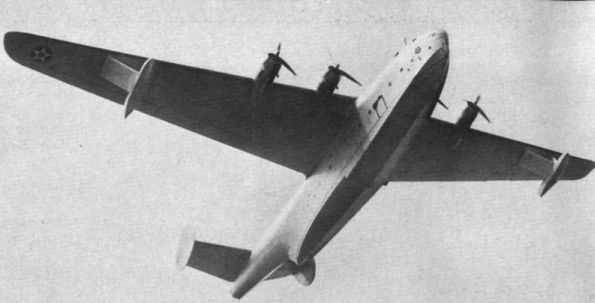 The ill-fated first production JRM-1, 6819 Hawaii Mars, during its maiden flight on July 21, 1945, with the twin-finned XPB2M-1R coming up behind. 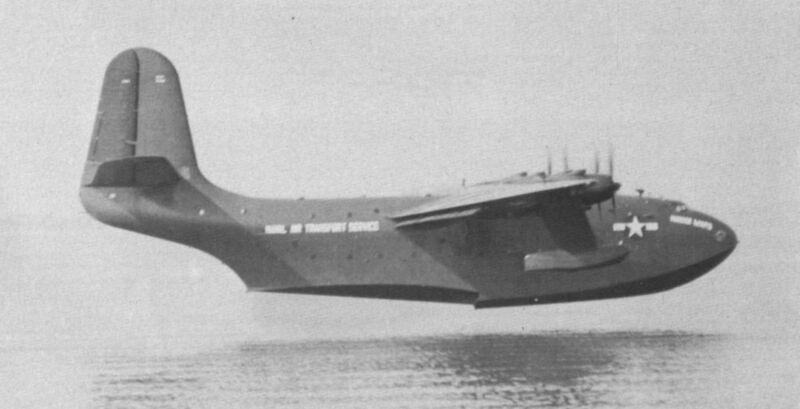 The sole JRM-2, 6824 Caroline Mars, was delivered in July 1947. 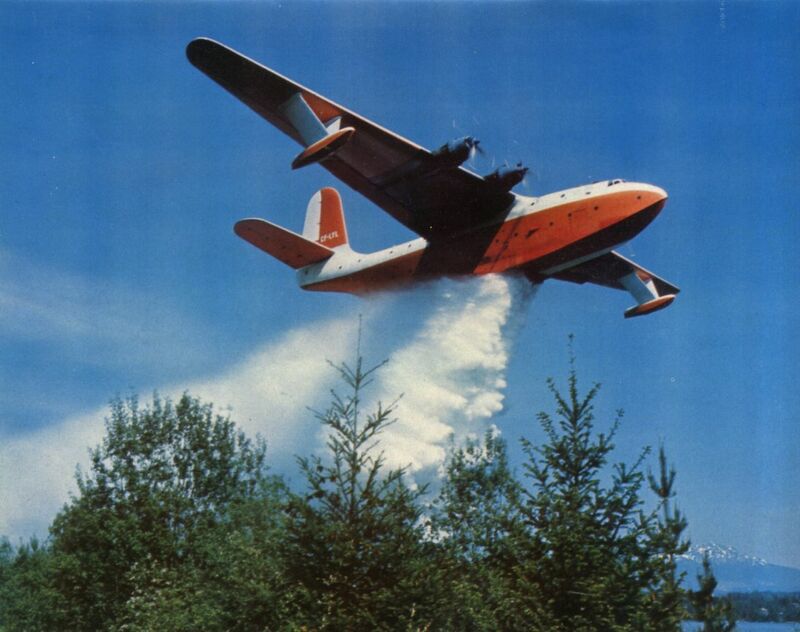 The first JRM-1, Hawaii Mars, comes in to touchdown after its first flight. It sank in Chesapeake Bay on August 5, 1945, only two weeks later. Marianas Mars, 6821, is seen undergoing maintenance in a floating dock at Alameda NAS, California. 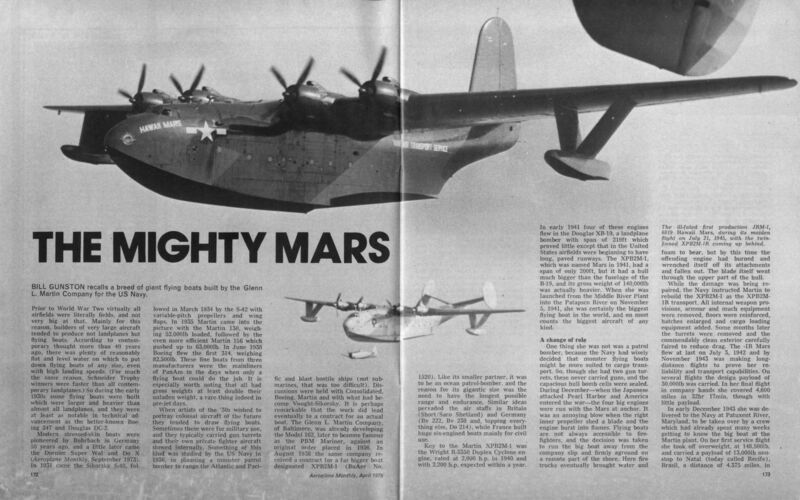 The second JRM-1, 6820 Philippine Mars, makes an impressive rocket-assisted takeoff in 1948. 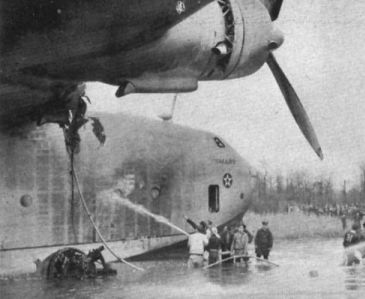 The first Mars after the engine fire which delayed the maiden flight. Note the nacelle in the water and the holes in the upper fuselage made by propeller blades.